Natural gas (NG) has been used for years in cars, buses and trucks, so why not boats? That’s precisely what Miguel Guerreiro thought, the founder and CEO of Blue Gas Marine (BGM) based in Apex, North Carolina. The former NASA engineer designed and patented a NG fuel-system compatible with major marine engines to supplement gasoline or diesel consumption or even used as an independent fuel. North Carolina State University’s mechanical engineering school tested each engine’s fuel-system until it was perfected. NG reduces pollution by 70 percent compared to gasoline and by 90 percent in diesel engines. It eliminates unpleasant exhaust odor and smoke residue that decreases an engine’s lifespan. NG also has a 130-octane rating, which is higher than premium 89-octane boat gas and matches gasoline performance. Only super-premium gas without ethanol surpasses NG superiority but at a prohibitive price. NG prices are stable, however, and are typically about half or less than the cost of regular gasoline. Additionally, there is a tax advantage for using natural gas. According to Guerreiro boats consume more fuel than cars using about 10 times more energy to move a boat over water than a car with the same weight on land. Pushing a button on the helm of a NG-enabled boat switches fuel from NG to gas and back on demand, without changing speed or losing power. “We are working on a variety of engines and have not encountered an engine yet that cannot be adapted to our system,” claims Guerreiro. “We have to modify and calibrate our technology to each engine type. Our goal is to offer the natural gas hybrid fuel-system for all the major brands of engines.” In fact, Yamaha engines met or surpassed expected performance while increasing top speeds by 10 percent. Starting in 2016, diesel engines are required to have a catalytic converter, and all hazardous waste byproducts must be removed. Using BGM’s fuel-system instead of diesel bypasses this. 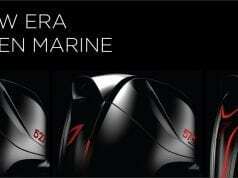 Mr. Gus Blakely, General Manager of Sales, Planning and Development of Suzuki Marine Division says, “The idea is good. 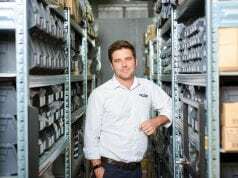 We believe in technology that’s good for the environment and good for boating.” He views the technology as practical for four-stroke engines, and Suzuki motors can run on NG. Blakely adds that boat owners are conscious of fuel prices, so the key is to educate the consumer and also to achieve distribution. BGM has a solution for NG supply and distribution. 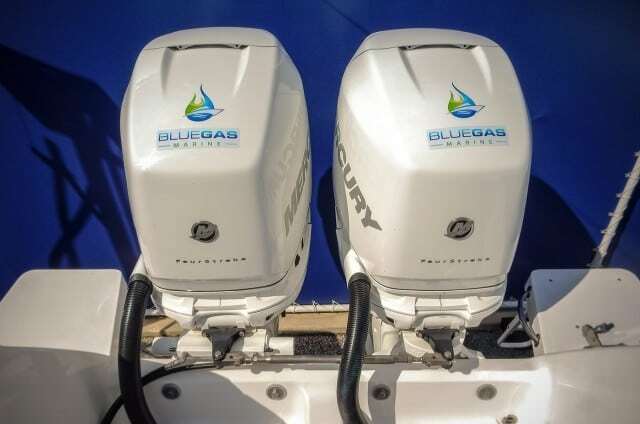 Guerreiro indicated that for the approximately 70 percent of coastal homes that use natural gas, a home storage compressor would fill a boat’s tank overnight by using specialized nozzles mounted on the gunnels. Boats can also fill up at municipal stations and until marinas offer storage tanks, BGM will provide mobile filling stations for select marinas. In fact, several marinas in the Ft. Lauderdale area plan to install NG tanks. Waiting for writer to provide names of marinas to add. Guerreiro envisions BGM’s system will be of greatest benefit for boats using lots of fuel such as law enforcement, military, commercial and sportfishing boats, towboats, and ferries. “If new boat manufacturers want these systems, then we will adapt [them] to the products,” said Mr. Blakely. Currently, Intrepid offers the system from the factory. In fact, the Intrepid 327 with twin Mercury Verado 300 engines is the BGM showboat. Composite materials of lightweight carbon fibers and plastics comprise the fuel tanks. They have a 20-year warranty and don’t leak or corrode like heavy aluminum gasoline tanks. 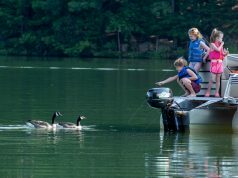 Tank size is based on an 80-90 percent gasoline consumption rate during a typical boating trip—NG would replace that amount leaving expensive fuel for later when needed. The largest tank weighs 90 pounds, which is less than a comparably sized gasoline tank, and NG weighs less too. Tanks may be positioned along the transom or helm’s bench, vertically or at an angle in other recommended locations. BGM’s system takes 1-2 days to install the tank, computer, injection system, and switches, while inboard systems take longer. BGM provides a custom system and then directs the customer to a certified service center. Currently, three centers exist in the Carolinas with more planned in Florida and other states. BGM matches the warranty of new engines and for engines that are out of warranty, they warranty the system for one year Guerreiro explains. Each installed fuel-system will be EPA certified. Tank and engine size influence the conversion cost. For example, a 22′ Chris Craft V-shape hull with a 250-hp Yamaha outboard would pay about $7,000; smaller boats with smaller engines pay less. However, installation costs are offset by not using higher-priced gasoline products.